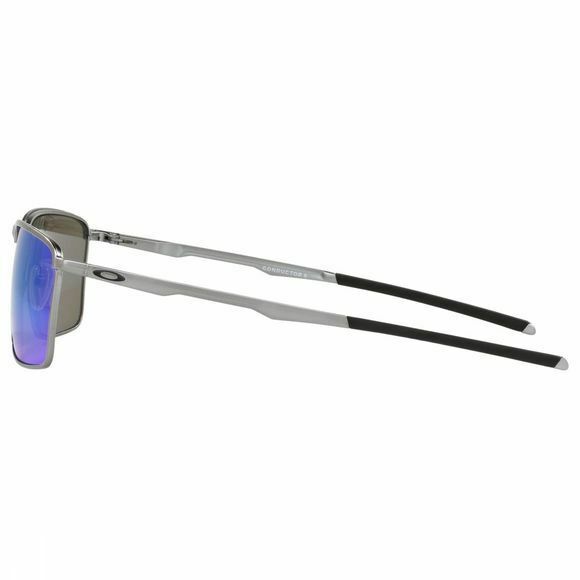 Integrated spring hinges, patented Unobtainium earsocks and air-filled silicone nose pads bring a comfortably secure Three-Point Fit to a lightweight C-5 alloy design that takes a pure approach with the sophistication of clean lines and classic Oakley styling. A technology called XYZ Optics ensures crisp clarity at every angle of view, of the 6 base lens curvature of Conductor 6. 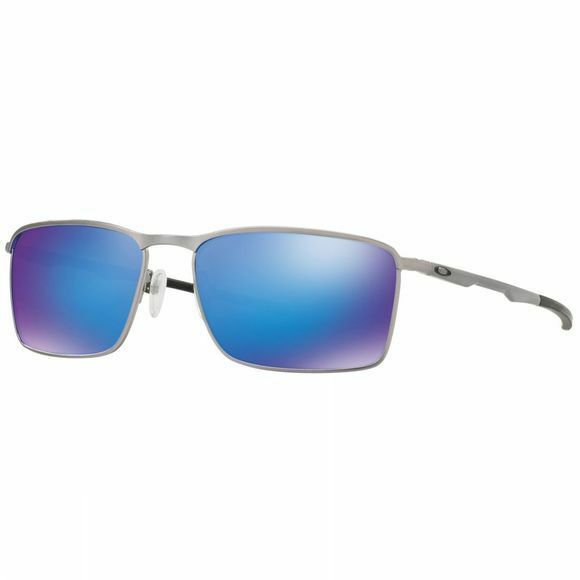 The most optically pure lens material utilized in eyewear, Oakley Plutonite filters out 100% of all UV, and available editions let you choose options like Iridium lens coating that balances light transmission and HDPolarized optics for the glare-reducing power of Oakley's polarized lenses.